C’è una leggenda vivente out there, là fuori: si chiama Bruce Brown, è un regista californiano e il suo documentario On Any Sunday resiste da 45 anni come la più importante opera cinematografica sul mondo delle due ruote. Bruce è un giovane avvocato del sud della California quando capisce che le sue passioni, il surf e la fotografia, possono dargli maggiori gioia e soddisfazioni dei processi e del lavoro d’ufficio. Imbraccia la telecamera e, senza alcuna formazione su come usarla, comincia a filmare le prodezze dei surfisti degli anni ’60 fino a farne un documentario, The Endless Summer, che diventerà il più importante surf-movie di tutti i tempi, ancora ricercato dagli appassionati di tutte le età. [There is a living legend out there: film director Bruce Brown and his documentary On Any Sunday have been the greatest testimonial of the motorcycle world for the last 45 years. Bruce was a young lawyer from Souther California when he understood that his passions, surf and photography, would have given him much bigger joy and satisfaction than law suits and office work. 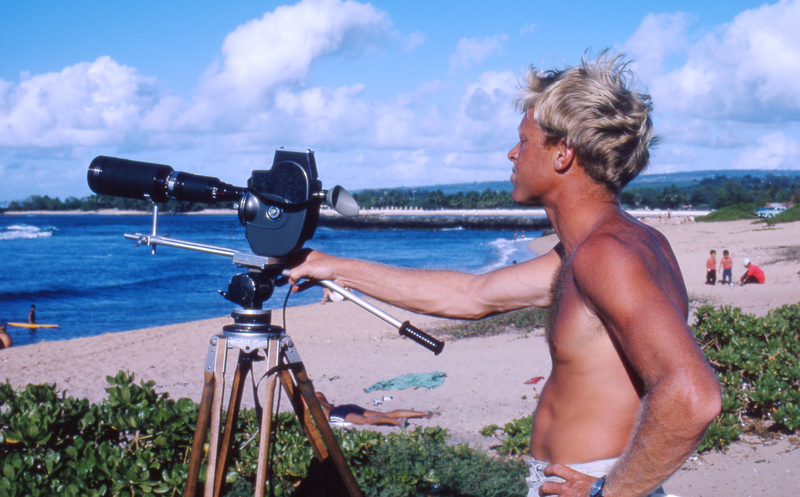 He embraced the camera and, without any formal training, started filming the pioneers of modern surfing in the early ’60s until he got so many wonderful shots (and a nice story to tell) that an epic documentary was officially made and released: the Endless Summer is, without any doubt, the greatest surf movie of all time]. C’è un’altra passione che Bruce Brown coltiva nel tempo libero, le motociclette, di tutti i tipi e di tutte le marche, con una predisposizione per le dirt bike, le moto da regolarità con le quali a cavallo tra gli anni ’60 e ’70 si diverte a scorrazzare nelle montagne e nel deserto con i suoi amici Steve McQueen, Mert Lawwill e Malcom Smith. [Bruce Brown was also very much into motorcycles with a particular inclination towards dirt bikes. 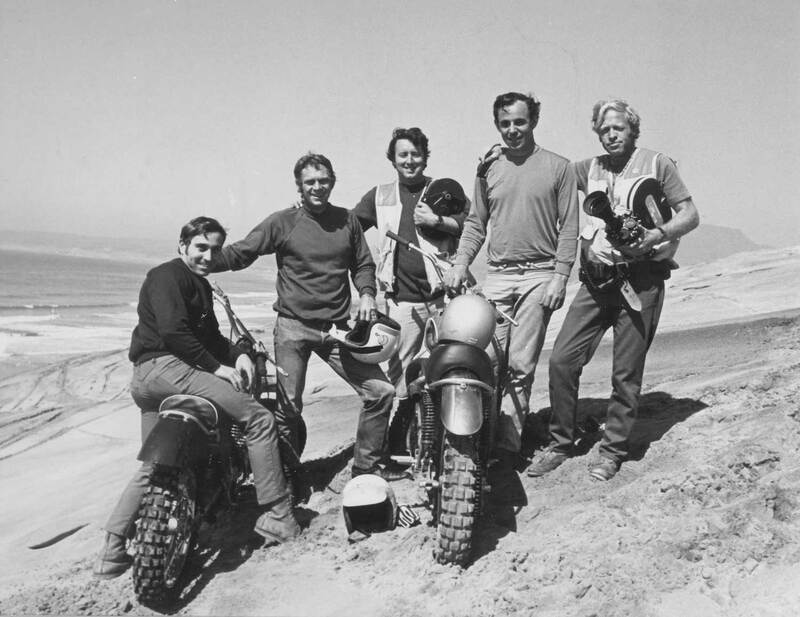 His riding buddies in the late ’60s and early ’70s were movie star Steve McQueen and motorcycle legends Mert Lawwill and Malcom Smith]. 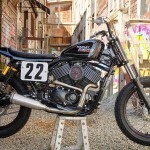 Nasce da queste scorribande l’idea di On Any Sunday, un documentario sui motociclisti, in grado di rappresentare l’umanità, i sogni e le tensioni emotive delle persone del circo delle due ruote, dal motocross al flat track, dalle gare su pista alla Sei Giorni di Enduro Internazionale. Si scopre allora che i campioni del motociclismo sono uomini veri e fragili, sprezzanti del pericolo e gentili, con mogli e figli in apprensione e la coscienza in conflitto perenne con la voglia di emergere; persone con energia e capacità di concentrazione non comuni ma anche molto divertenti e interessanti. [That was when the idea of On Any Sunday was born. Bruce wanted to portrait not the technical traits of the sport, but the humanity, the dreams and the emotions of people who would ride and race “on an sunday” of their life, from motocross to flat track, from road racing to the International Six Days Enduro. Million of spectators discovered that their champions were real and fragile men, brave and kind at the same time, with wives and kids that were worried about their not-so-regular job. They had a strong sense of responsibility but they were eager to demonstrate their talent to the world. They had energy and concentration that were uncommon among the others but they were also funny and interesting people]. On Any Sunday è il documentario di tutti i motociclisti, un inno alla nostra passione e alla gioia di andare in moto per divertimento, con gli amici o da soli, di andare alle gare e di sostenere chi tutte le domeniche può farci trattenere il fiato. [On Any Sunday is the documentary of all motorcyclists, a hymn to our passion and to the joy of riding a bike just for fun, with friends or alone, of going to races and cheer for those who can take our breath away]. Dana Brown, figlio di Bruce, dopo aver girato alcune pellicole sul surf e sulle corse (ricordiamo Dust to Glory del 2005 sulla famosa corsa nel deserto messicano “Baja 1000”) ricalca definitivamente le orme del padre con “On Any Sunday, The Next Chapter” del 2014, 43 anni dopo l’originale. [Dana Brown, Bruce’s son, after shooting documentaries about surfing and motorcycle racing (2005 Dust to Glory about the famous “Baja 1000” in the Mexican desert is a couple of hours of pure fun), decided to try what his father had accomplished 43 years earlier: the new “On Any Sunday, the Next Chapter” is a documentary about contemporary motorcycle legends and their way of living a very uncommon life]. 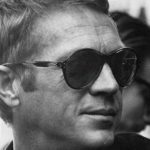 Steve McQueen non c’è più, i beniamini sono quelli dei nostri giorni come Marc Marquez, Roland Sands e la campionessa di motocross sordomuta Ashley Fiolek ma lo spirito delle due opere resta lo stesso: le moto di tutti i tipi, da enduro o da strada, custom o da turismo, sono la cosa più bella del mondo, non un mezzo di trasporto ma uno strumento di liberazione dell’anima, foriero di gioia di vivere e di voglia di stare insieme. 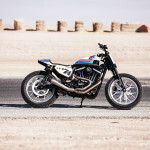 [Steve McQueen left us long ago, Malcom Smith haven’t been racing for decades; now, our legends are Marc Marquez, Roland Sands, the deaf-mute motocross champion Ashley Fiolek and many others. However, the spirit of the two films is exactly the same: motorcycles of all kinds – from dirt bikes to the most extreme road racing machines, from café racers to tourers – are the greatest thing in the world, not a transportation but a vehicle to a joyful and free life].